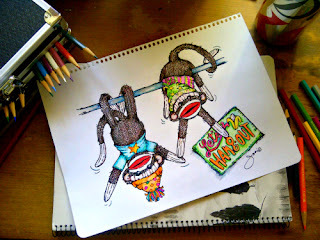 Pop Art Minis: Sunday Sketches...Let's Hang Out On The Monkey Bars! Sunday Sketches...Let's Hang Out On The Monkey Bars! I know I keep saying that, but it feels so good I can't help myself! And if you've been reading my tweets, Facebook posts or blog you probably know that I've ended up in Illinois for the next few days "hanging out with family and friends". 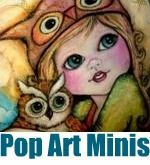 Which is what inspired my latest mini...that again features the iconic sock monkey! I think I may end up calling this little trip the "end of summer Sock Monkey tour" Hey, I think I might have just landed on my next mini! hehehe! 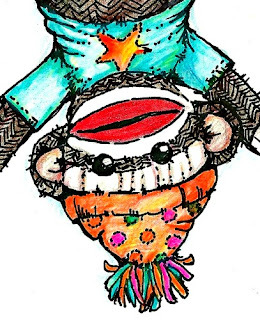 Ok, enough monkey'n around let's get to the sketch! Breakin' it down...monkey bars...school yard style! Have a super Sunday and be sure to pop by Sophia's Blue Chair Diary "Sunday Sketches" and check out all of the fun and creative shares there too! Pop Art Mini Sock Monkey designs are available in my Zazzle Store! 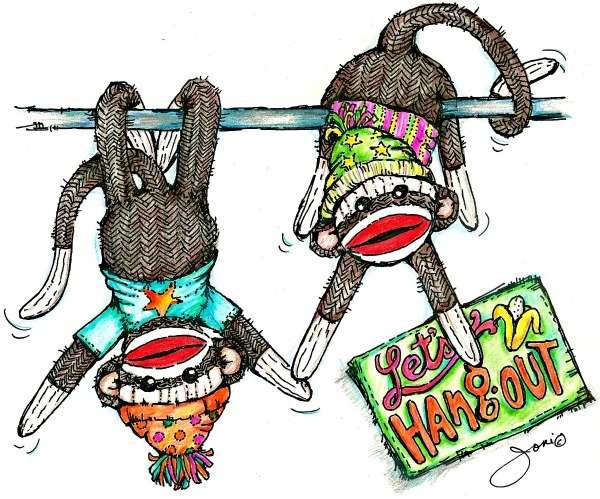 Stop by if you're up for a little Monkey Business! Wow...brilliant!! This is now my favorite piece of yours...gorgeous.. 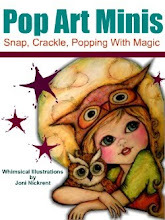 enchanting...I feel captured in childlike wonder..and it feels magical..gorgeous gorgeous art!! LOVE IT!! I'm fast becoming a real fan of these cheeky little monkeys. I love this! Love all the pen details. I instantly smiled when I saw this. Woot, woot, for IL (That's where I'm originally from). Very beautiful! kisses from Greece. the sock monkeys are in back to school mode, I think. So nice for you to have some family time. 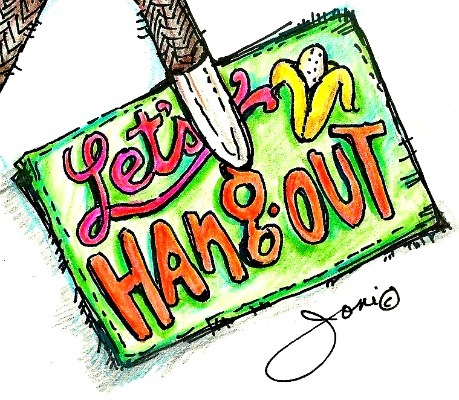 I love the details and colors you achieve in your sketches. This one is so whimsical and joyous...maybe a reflection of your family time together. thare sooooo, cute,, oh my gosh they made me smile when I saw them on my reading list,, you have a real monkey love goin on!! 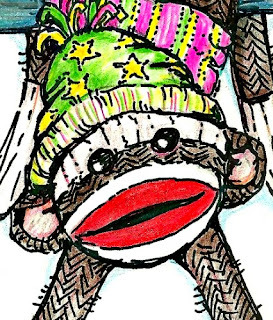 I love sock monkey, I still have my son's and little sock monkey Christmas tree ornaments! waving at you from Illinois!! 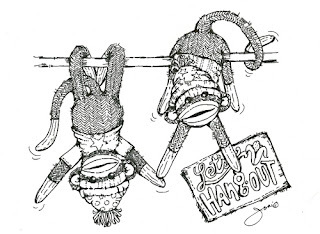 love the sock monkeys! great pic of you and your sis! Love them sock monkeys! So playful! Woohoo, more monkeys! I love these guys. I especially like the way you do the knitted texture. MORE Monkeys!! Are you trying to kill me here?! :D tee hee I adore them. OK....I've only attempted doing one, but now you've got me to wanting to attempt another. SO glad you join us each week. Hugs! Beautiful lil monkeys! I love how you've colored them!